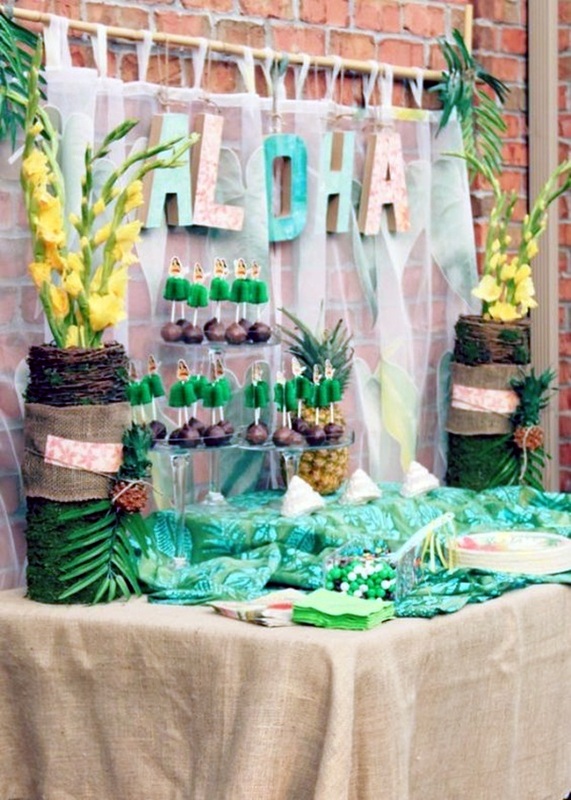 So, you are going to host a Hawaiian themed party? 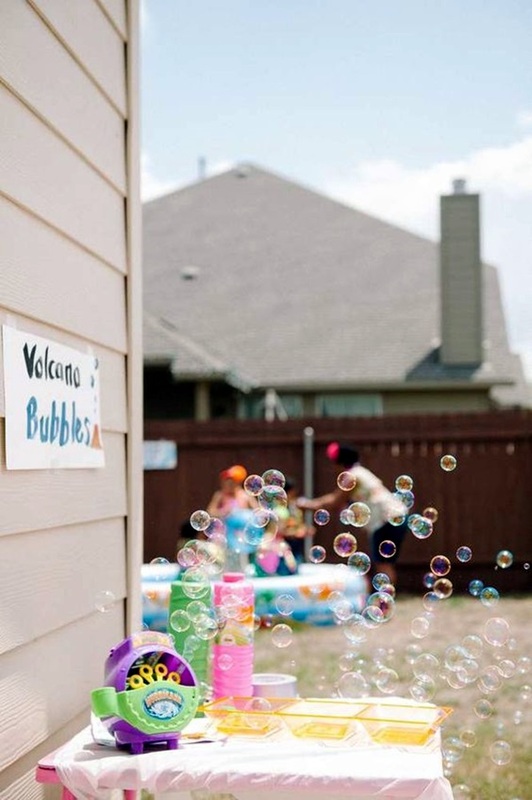 The first thing we have to tell you that it is going to be a fun thing to do indeed. 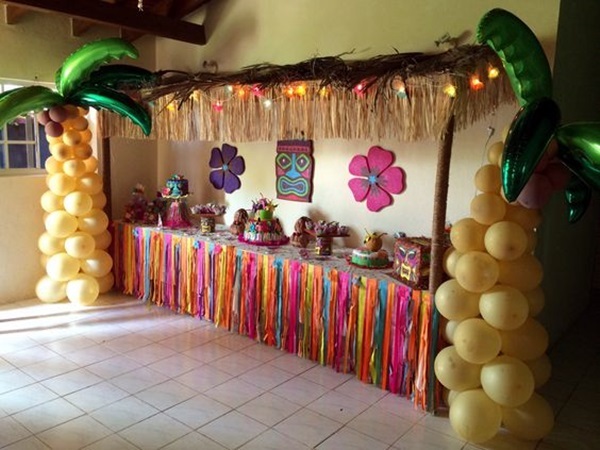 And if you are thinking of doing it on a budget, then too it is a good theme to go with, and that too without compromising on the fun and frolic factor. 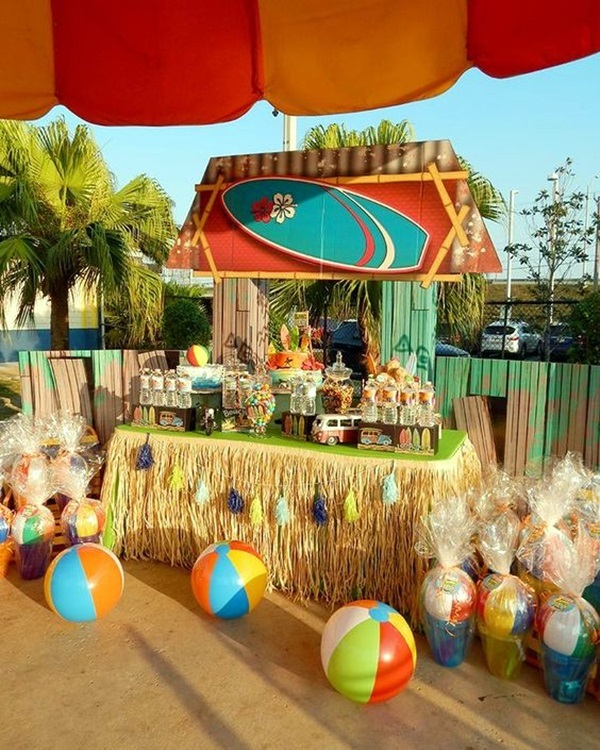 We are sure that there are other themes that provide a lot of fun but they may not be as affordable as this theme. 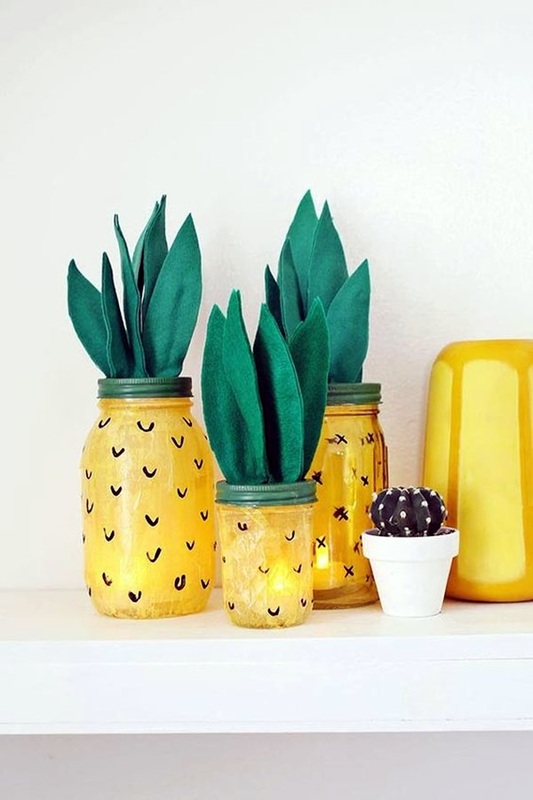 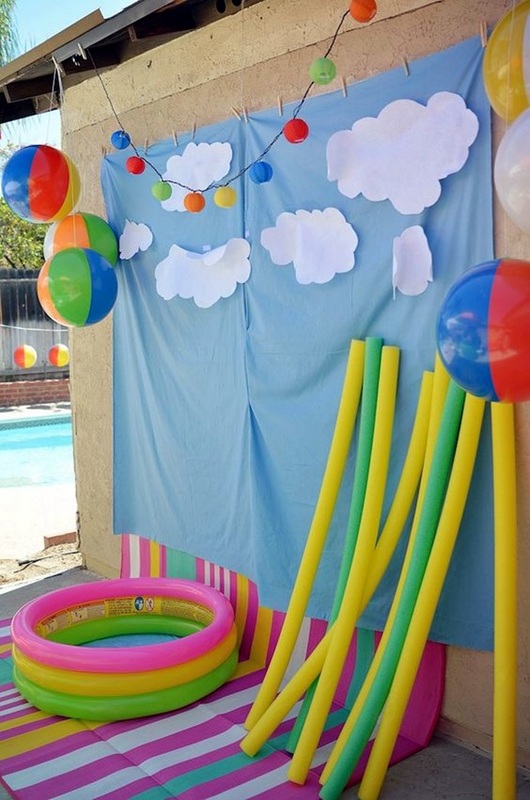 There is no dearth of useful party decoration ideas for any occasion and these can be used too but sometimes it is fun to have a themed party. 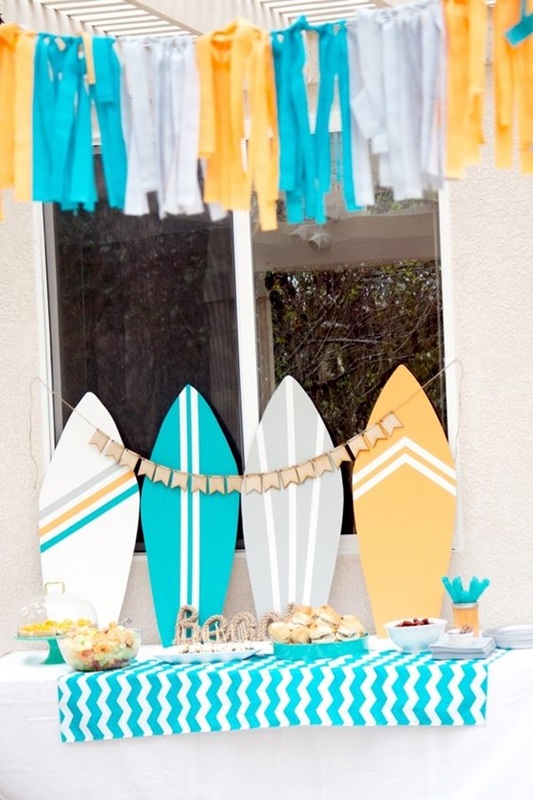 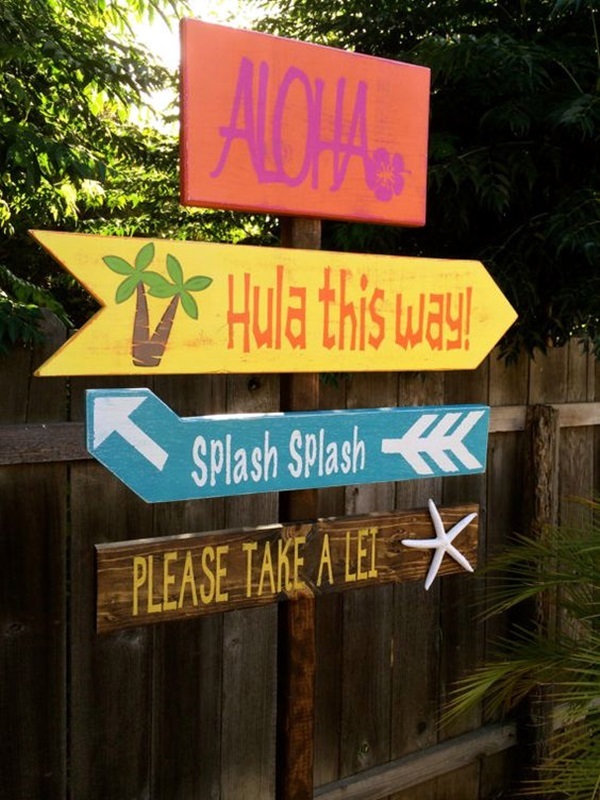 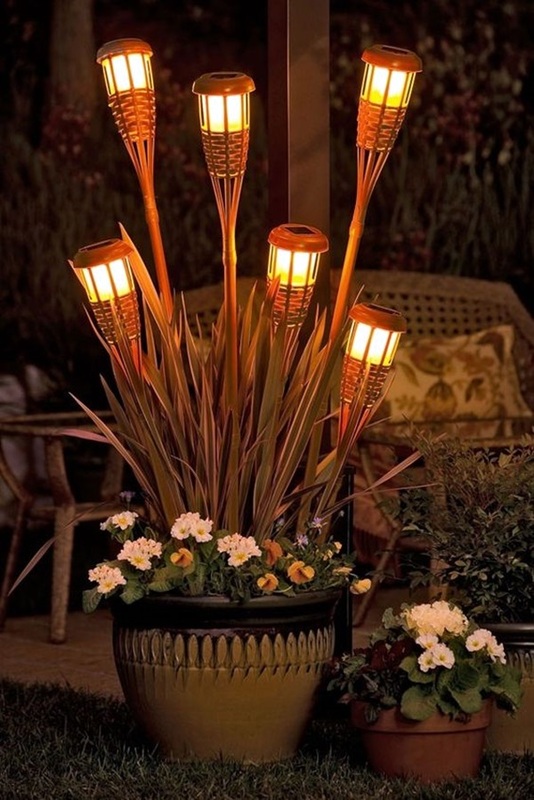 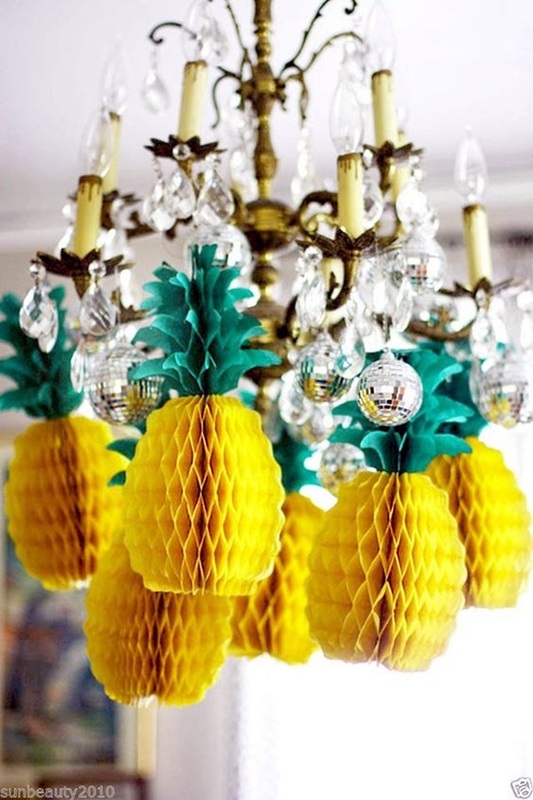 Of course, if some of these decoration ideas fit into your Hawaii theme party, then you can go ahead and use them. 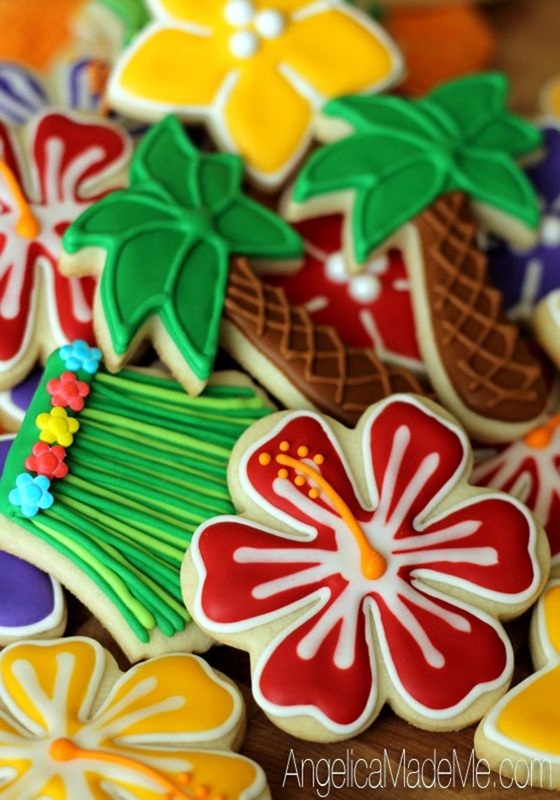 If you are wondering why we are so excited about the Hawaiian themed party, then you will when you keep reading on. 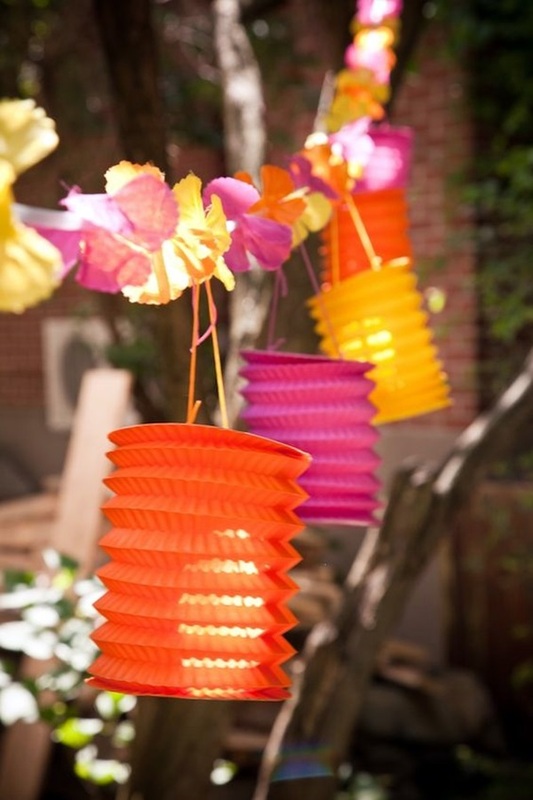 There are many paper decorations to make a party lovely and lively and you can use these to add color to your party. 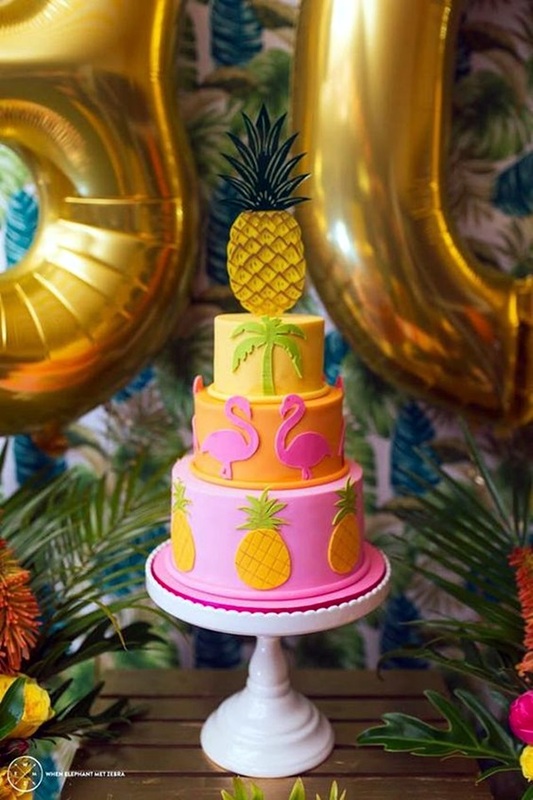 You can also consider preparing pretty paper animals for learning and decoration purposes to ensure that everyone who attends the party gets what the theme is all about. 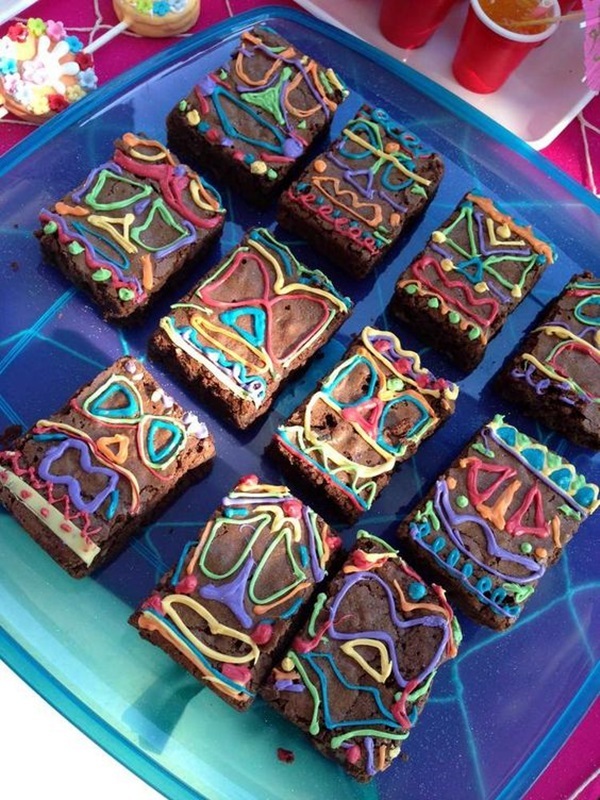 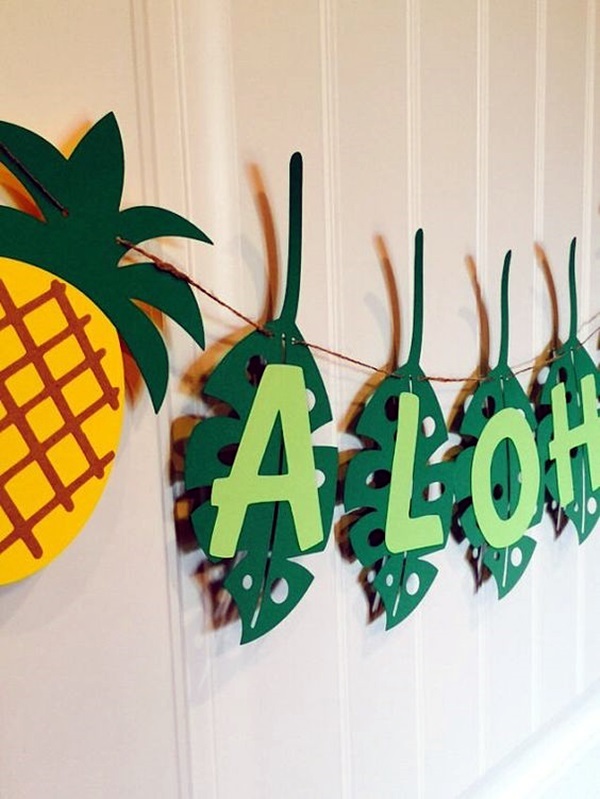 There are many reasons why we are sounding so upbeat about a party based on a Hawaiian theme. 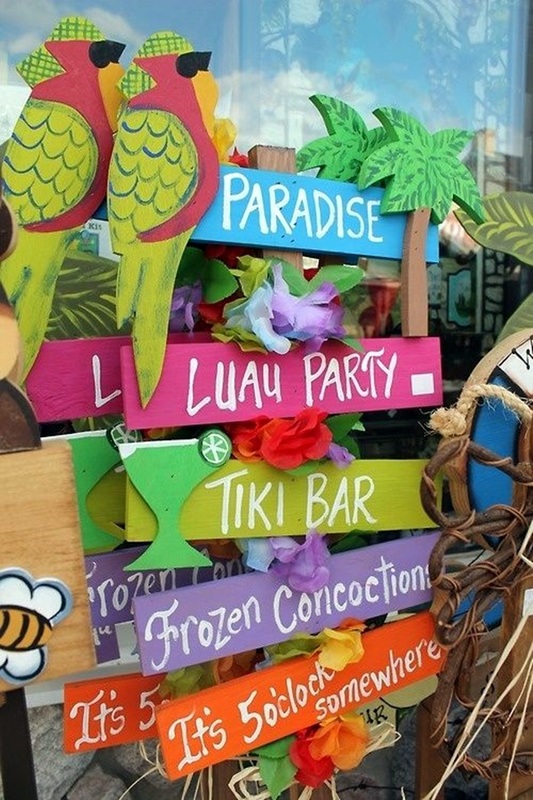 To start with, you should know that the theme with Hawaii at the center will be colorful and awesome. 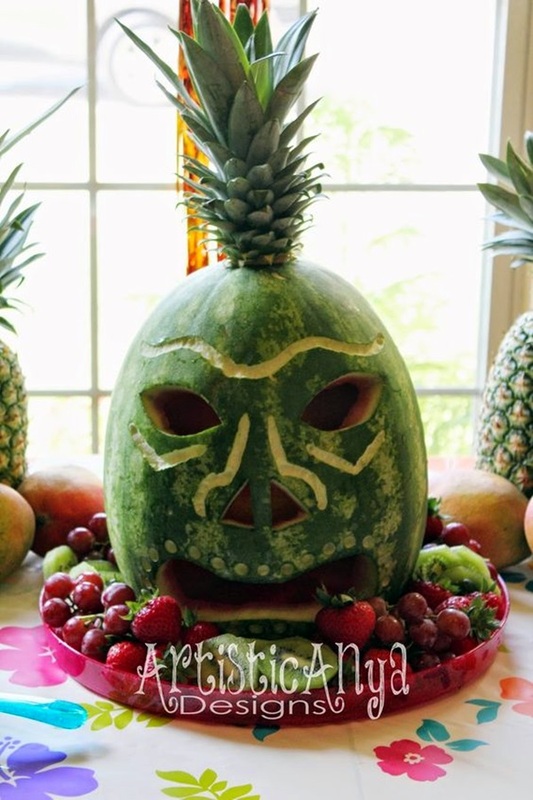 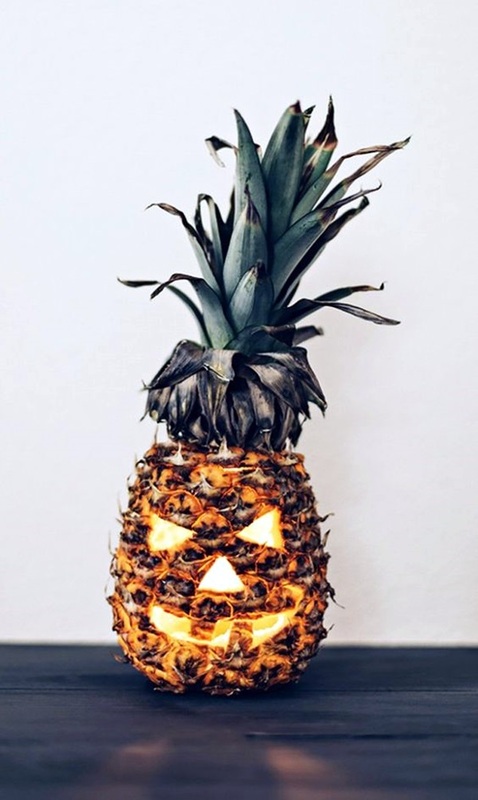 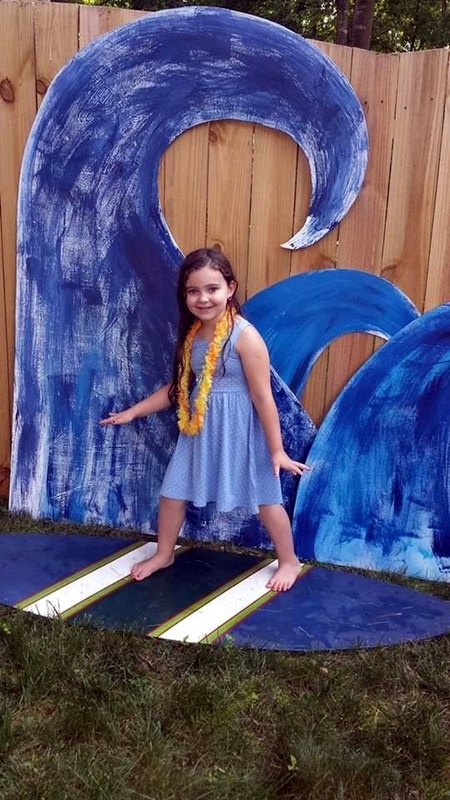 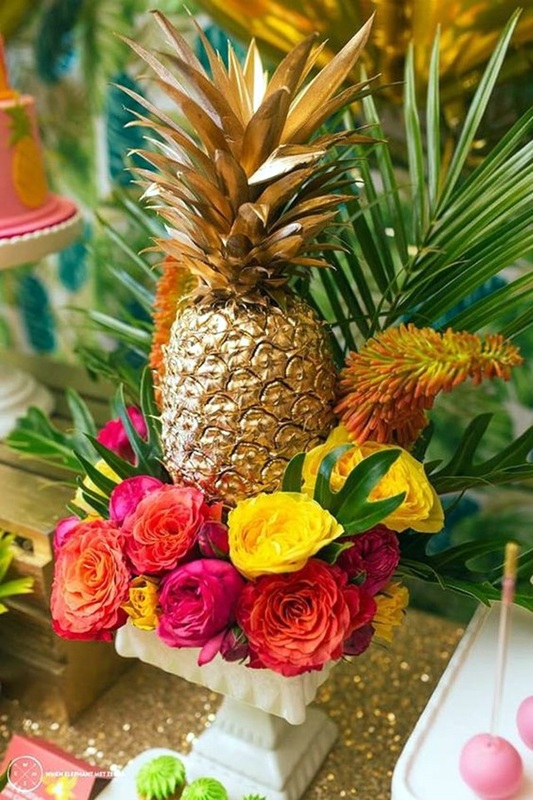 You must be by now aware that the Hawaii theme would include many kinds of flowers, grass skirts, pineapples, tiki huts, tribal decorations, and other wonderful things. 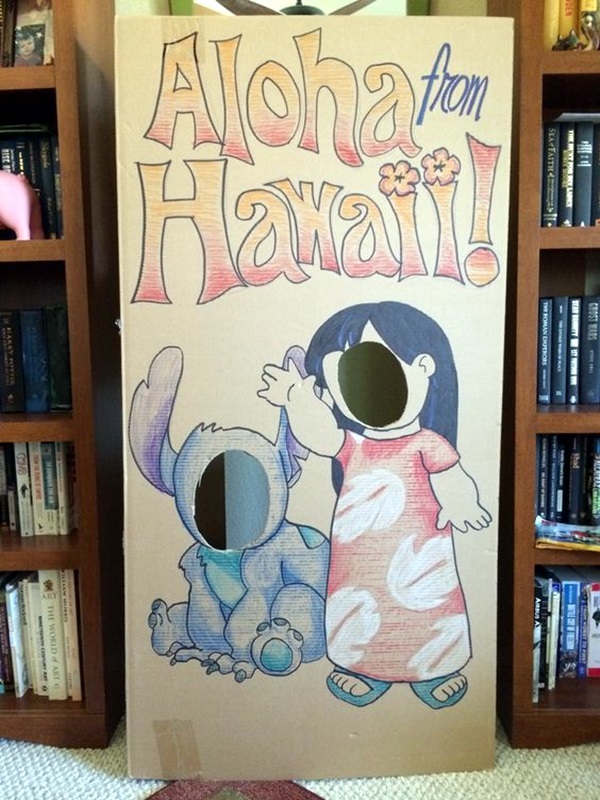 The Hawaii theme would be brought more into focus by using words like Aloha, Mahalo and other generally used Hawaiian words in colorful paperboards. 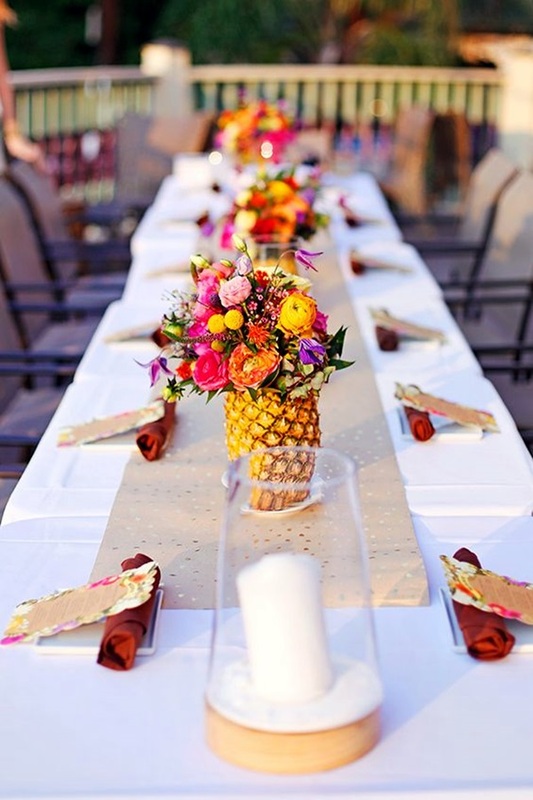 As part of the table decorations, you can add a grass skirt hanging from the table sides instead of a conventional tablecloth. 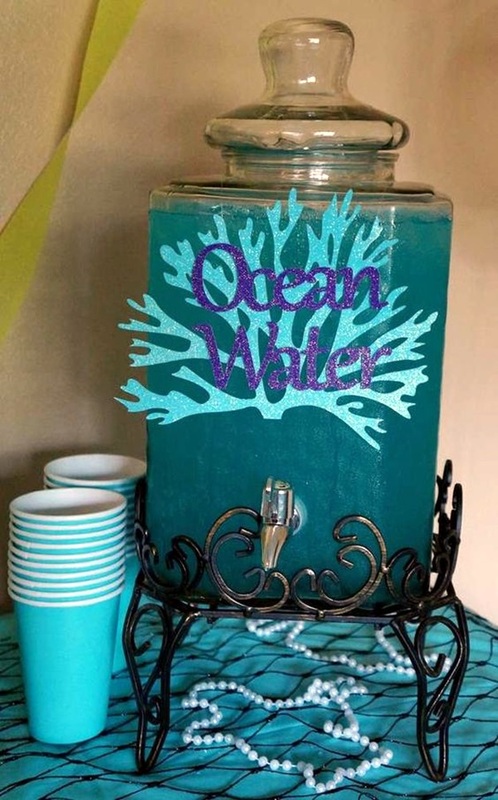 Not only is this a creative way to do things but it is also very affordable. 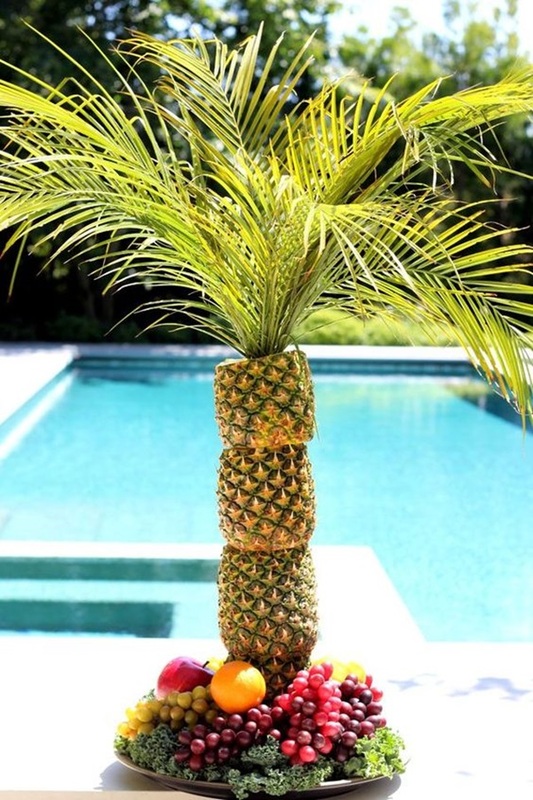 You can use the pineapple in your decoration theme to bring home the islands theme. 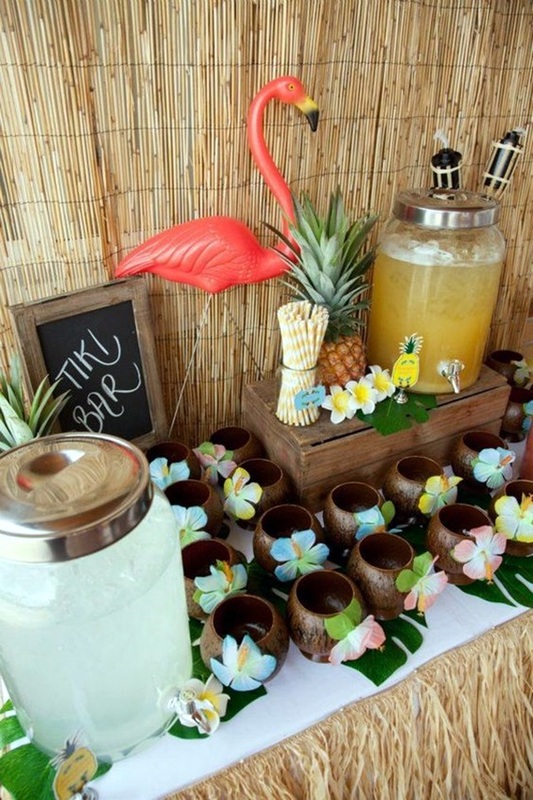 The use of jars filled with sand and shells is another decoration idea that can add to the Hawaiian theme. 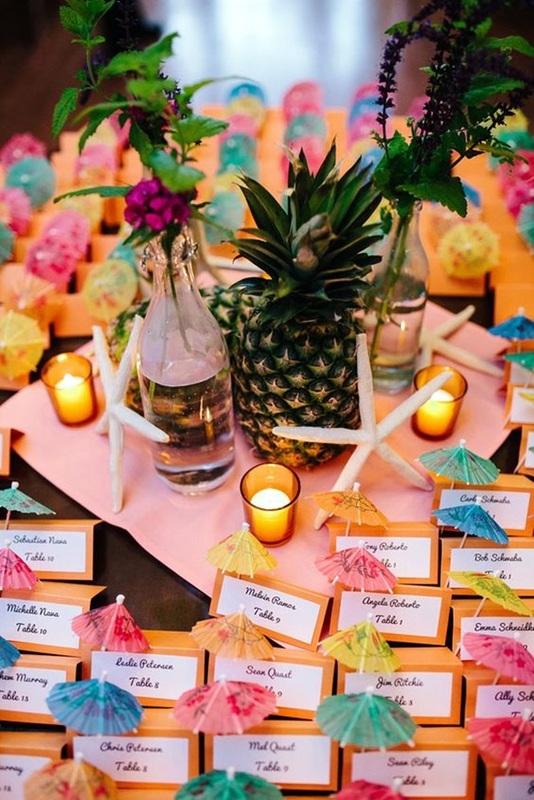 Colorfully created paper umbrellas that are normally seen in drinks is another thing that you can use to create a bouquet and placed at regular intervals to make a party come alive with the Hawaii theme. 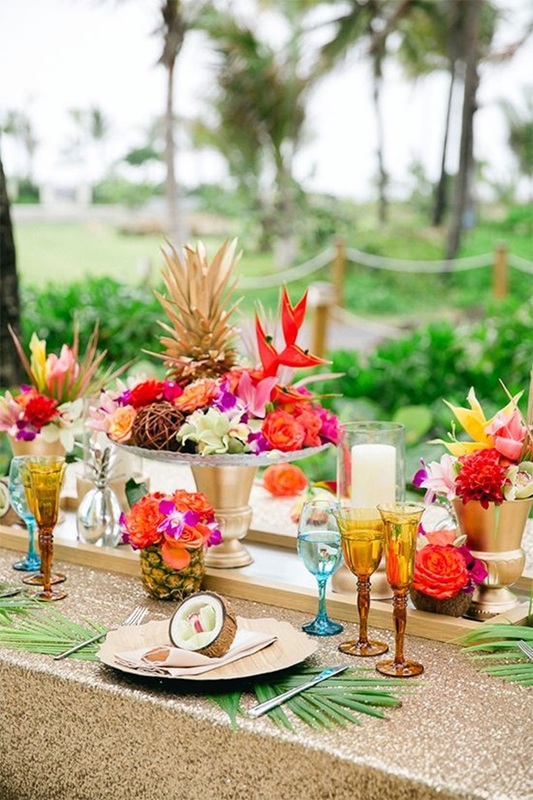 Leave baskets filled with colorful paper flowers on tables is another way to add to the Hawaii theme. 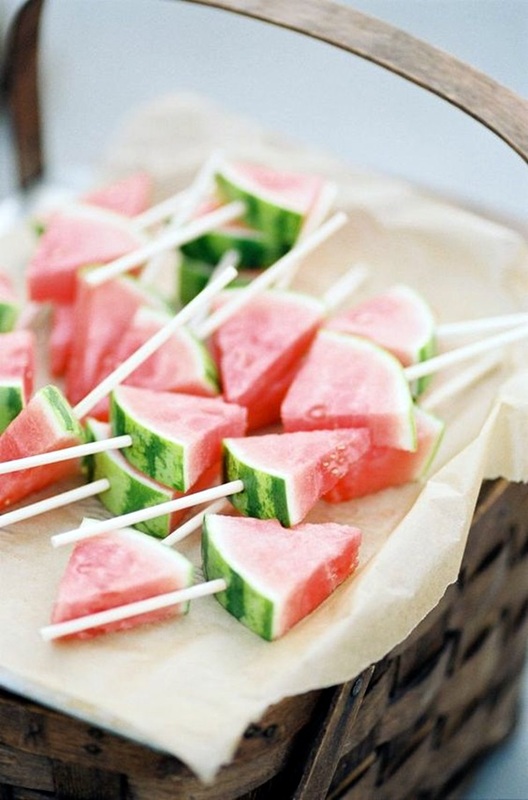 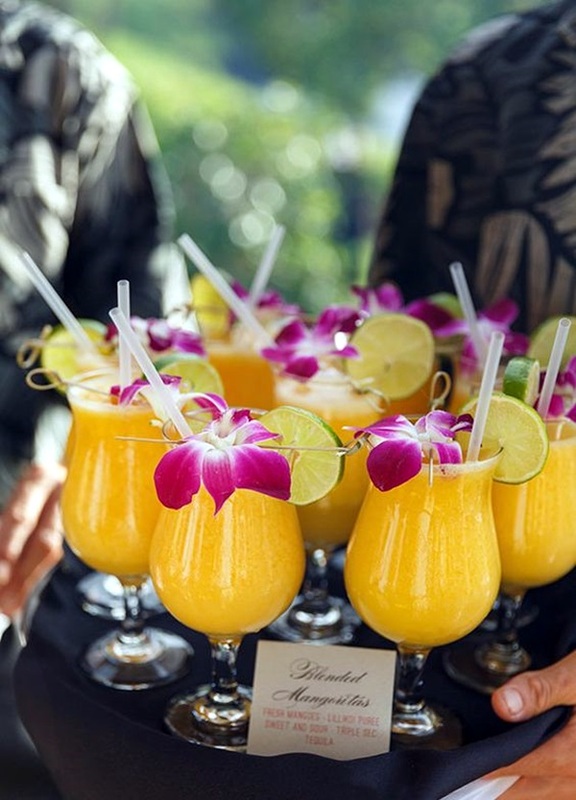 You can also add a few touches in the food and beverages by having a few edible flowers strewn in between. 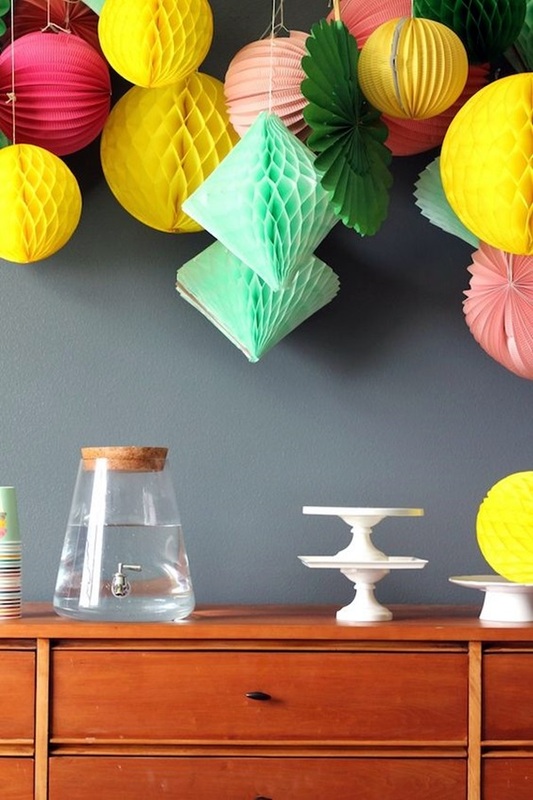 Another simple but very effective and affordable touch that you can add is hang a net with colorful butterflies cut out of paper stuck sporadically on them. 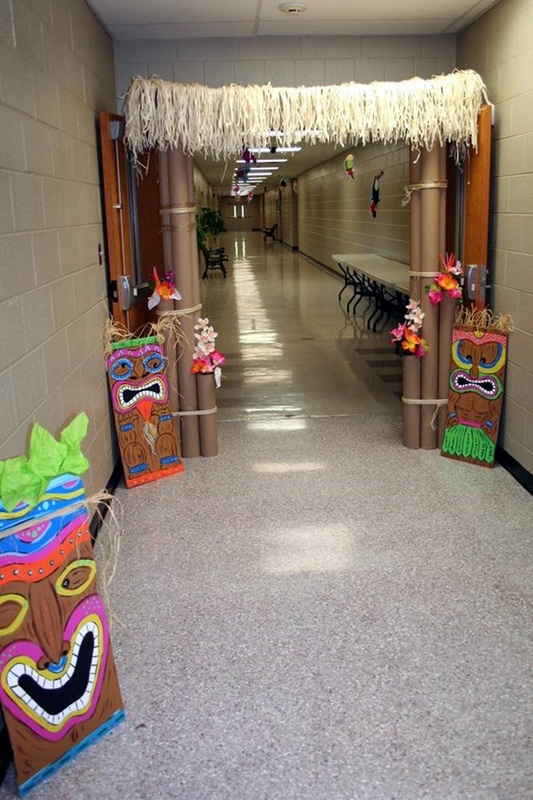 If you can create tribal masks with the help of some wood and paints, then by all means do so and hang them on the wall at regular intervals. 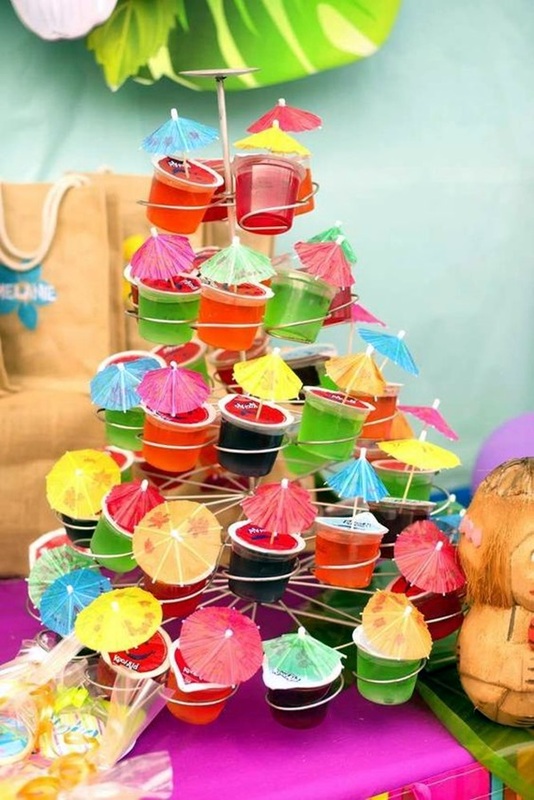 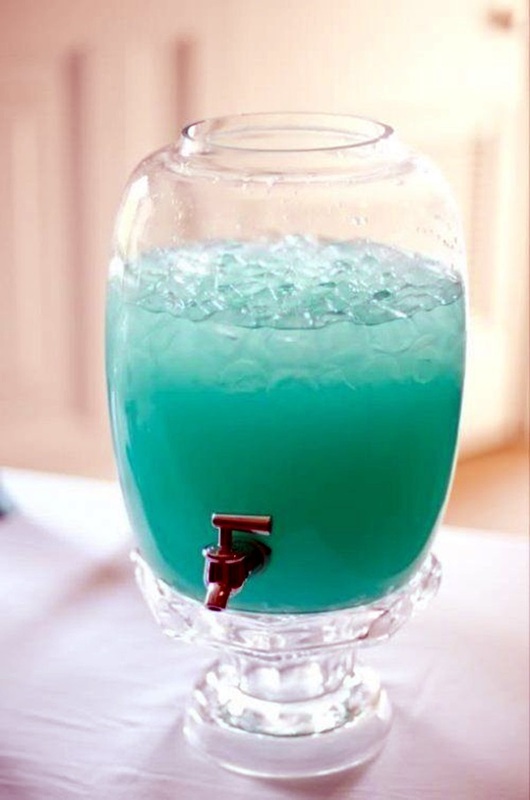 Small transparent plastic glasses filled with different colored jellies is another inexpensive way to make your party look lively and wonderful and in keeping with the Hawaii theme. 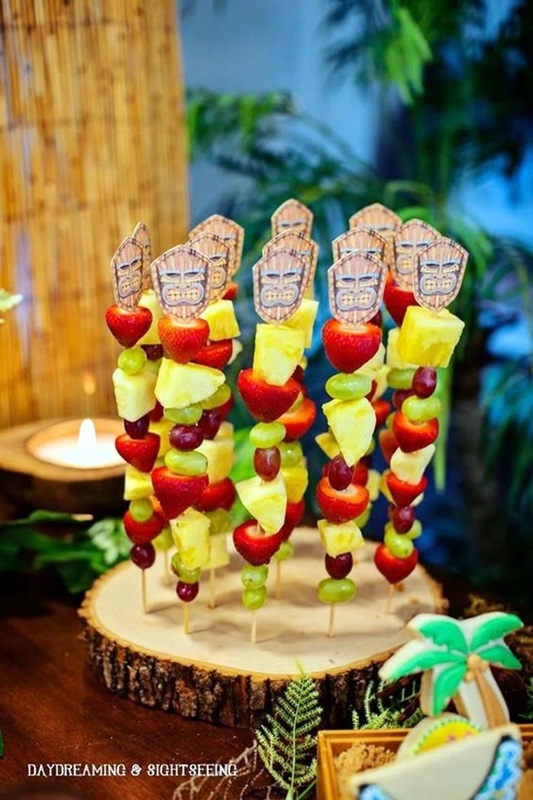 If you are feeling really energetic and resourceful, then create small huts out of ice cream sticks and wooden spoons and leave them around the place. 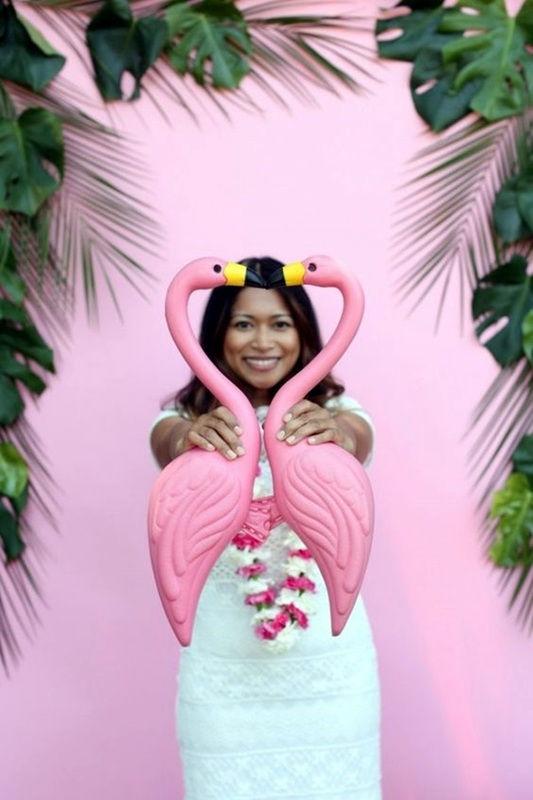 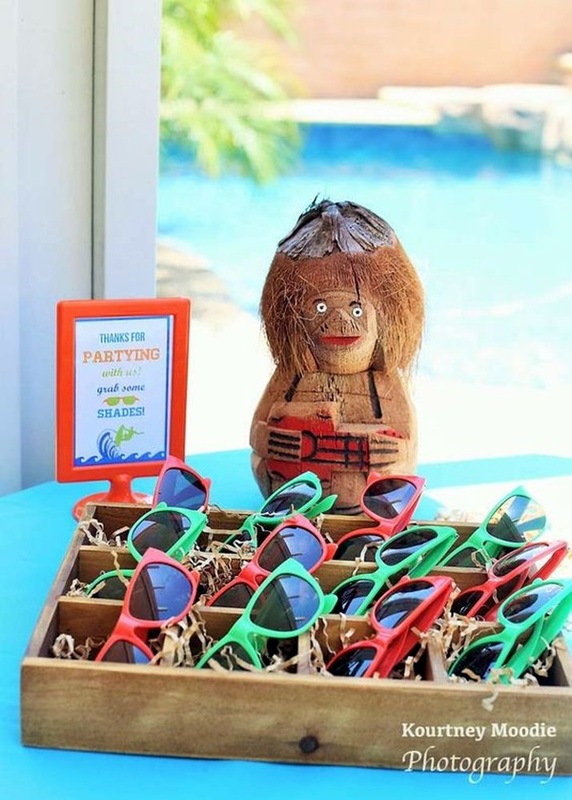 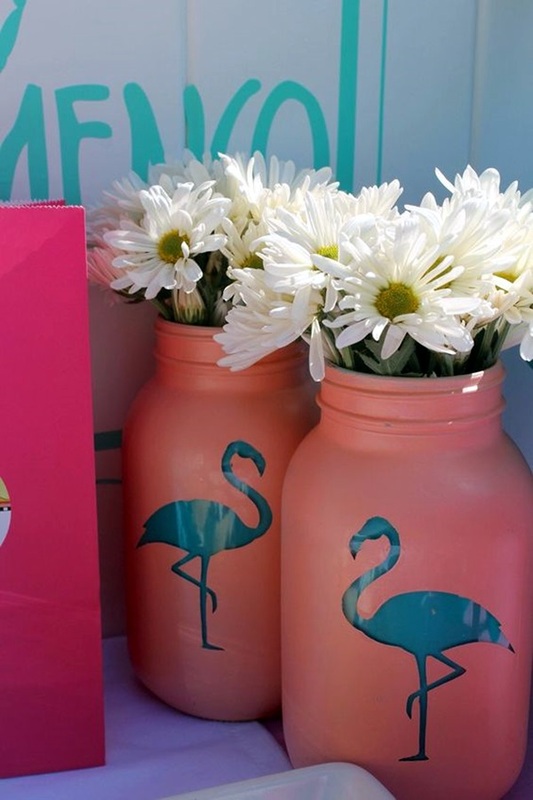 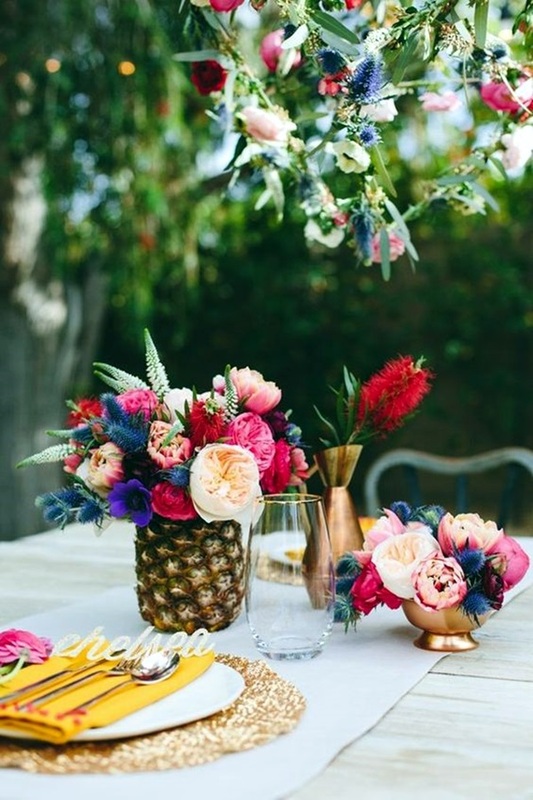 By now you must have gathered that Hawaiian theme party decorations would mean the use of plentiful colors and following a theme of riotous colors. 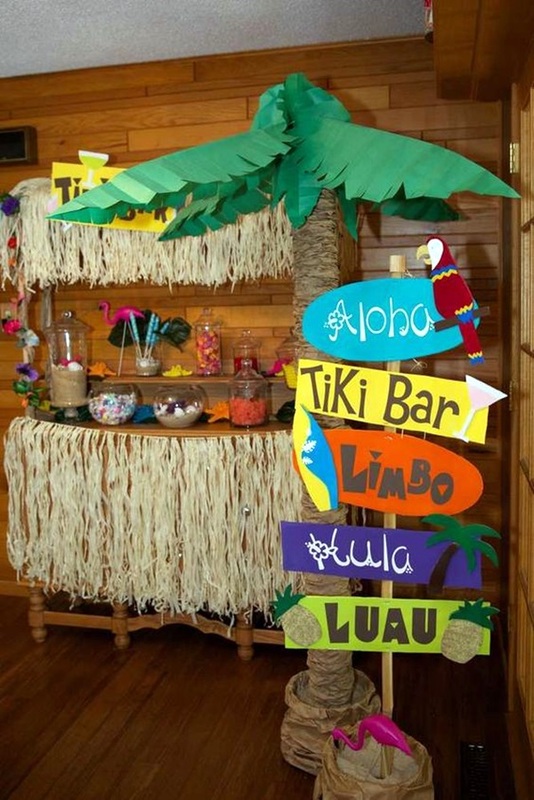 If you are able to add some leis and personal floral decorations, then the party will look even better.